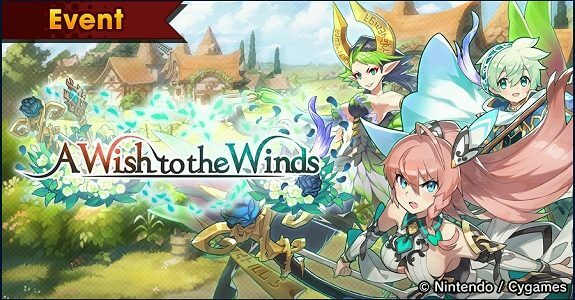 Today, a brand new event for Dragalia Lost was announced: A Wish to the Winds. Just like Trick or Treasure, this one is a “Facility Event”. It will run from November 15th (this Thursday) to November 26th, though rewards are available until December 3rd. It pits your adventurers against bosses from the water element. it boosts the damage all adventurers deal to enemies during the A Wish to the Winds quests. As you progress through the event’s story, you can level up the Wind Shrine, and boost the very effects we just mentioned. To upgrade it, you need something called windwhistle grass, that you can get from event quests: just like in previous events, you can actually earn more of them by having adventurers equip event-specific Wyrmprints. Said Wyrmprints also have other effects. Challenge Battles: high-level battles, unlocked after clearing the boss on Expert. You have to face several waves of enemies, and if you get a Game Over, you still get some rewards based on the number of waves you cleared. They’re only playable in Single Player.